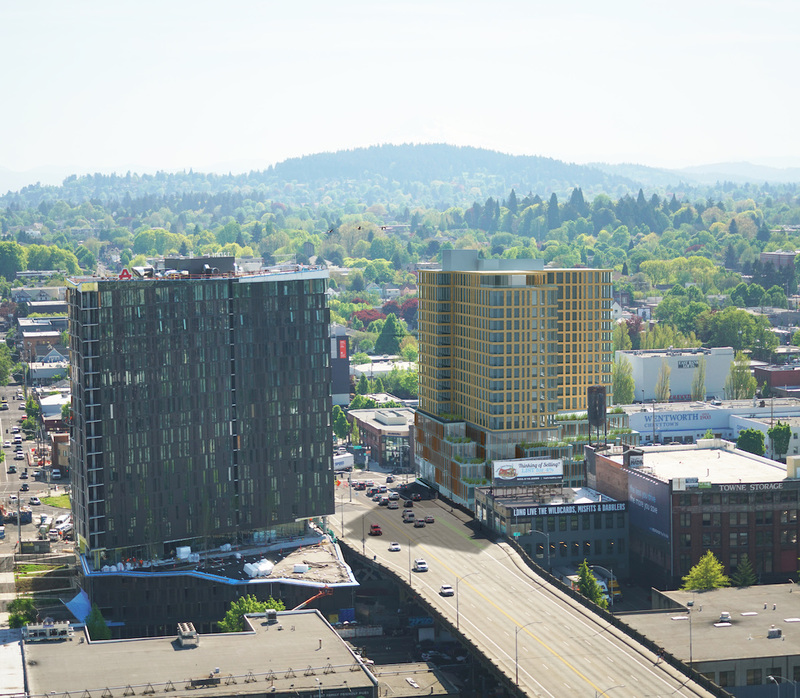 While Portland has long been considered a desirable place to live, it has traditionally lagged its suburbs—Washington County particulary—in income and job growth. Following the recession this appears to have changed. 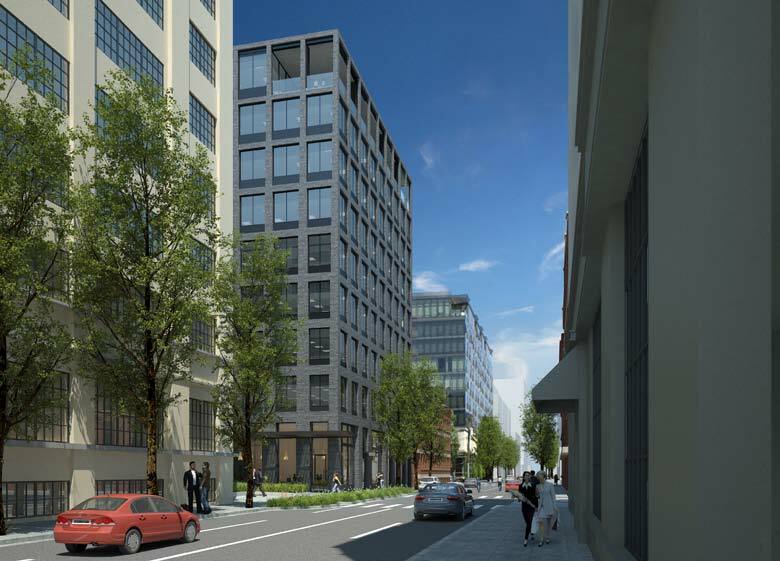 Employers increasingly desire a location in central Portland. As commercial vacancy rates have dropped and rental rates gone up there has been a sudden influx of new office proposals. The vast majority of these are speculative projects, where the developer starts work on the project without a specific tenant in mind. 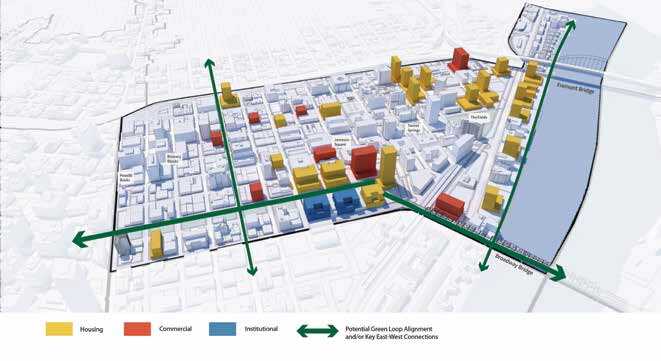 Only three of the buildings—the Daimler Trucks North America HQ, the Multnomah County Health Department HQ and the Seven Corners Community Collaborative—are planned for a specific end user. 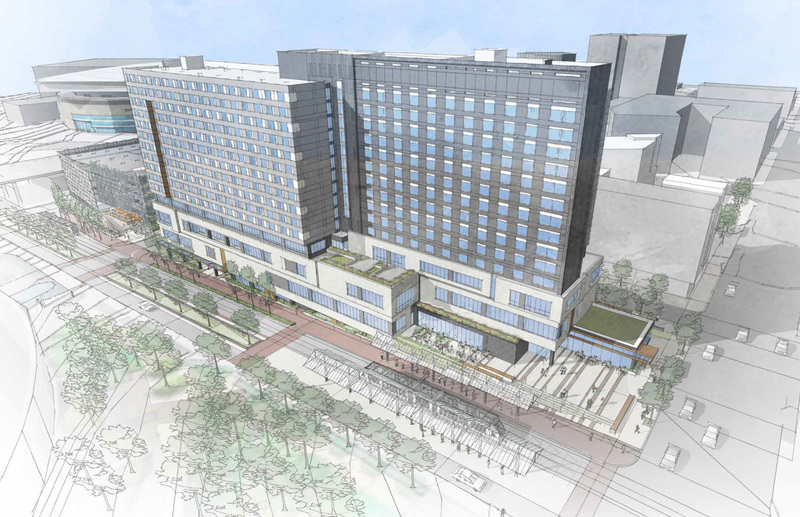 Click through to see our roundup of the major projects going on right now, arranged in no specific order. 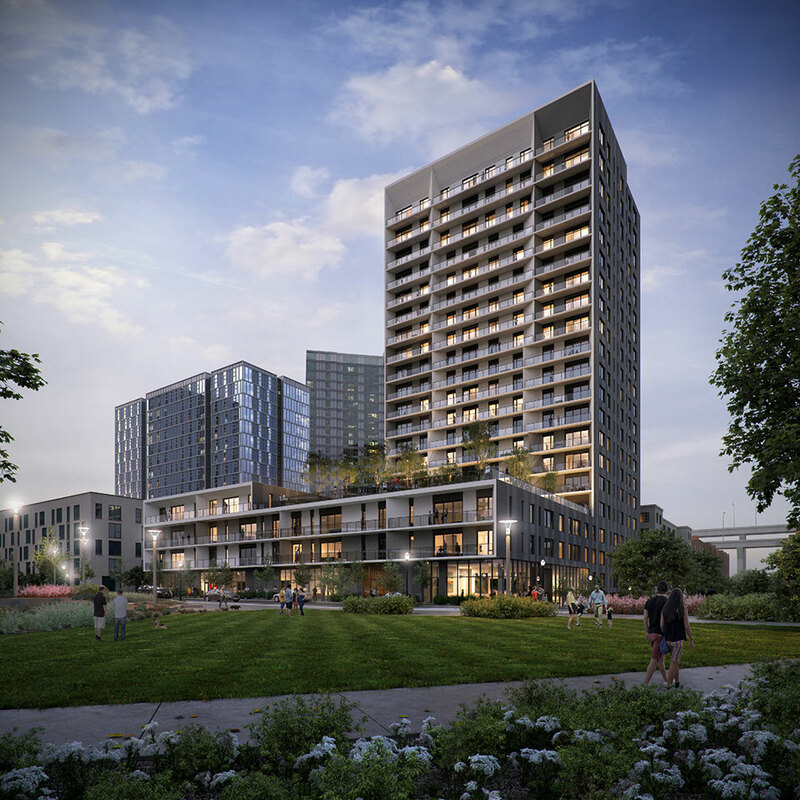 Where a significant portion of the building will be used for functions other than office, the area of the office floors alone has been given. Note that the area of any building may not be directly comparable to another due to differences in methods for how floor area is calculated. 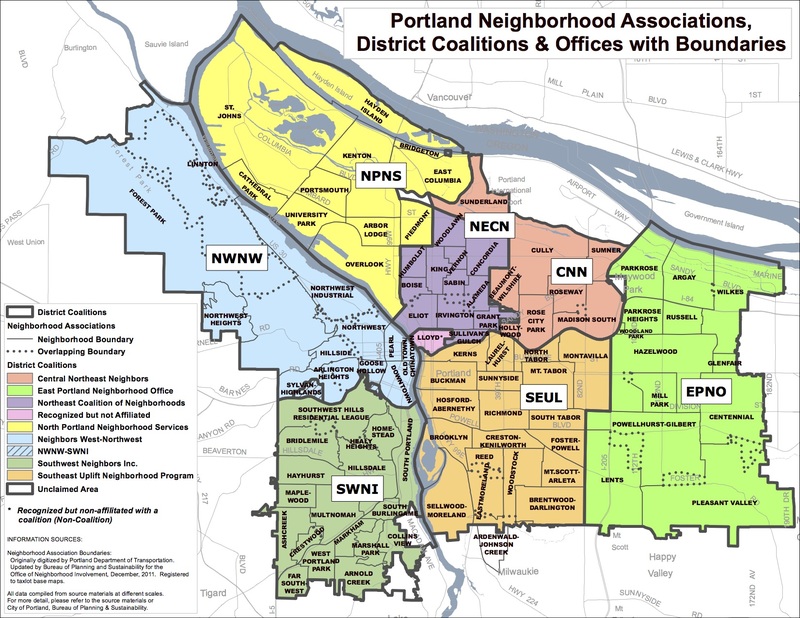 Have you ever wondered what the difference is between the Portland Development Commission and the Design Commission; between the Bureau of Planning and Sustainability and the Bureau of Development Services; or between the Building Code and the Zoning Code? At Next Portland we try to avoid using too much jargon, but there are certain terms that we’ve found get used in our posts more than others. 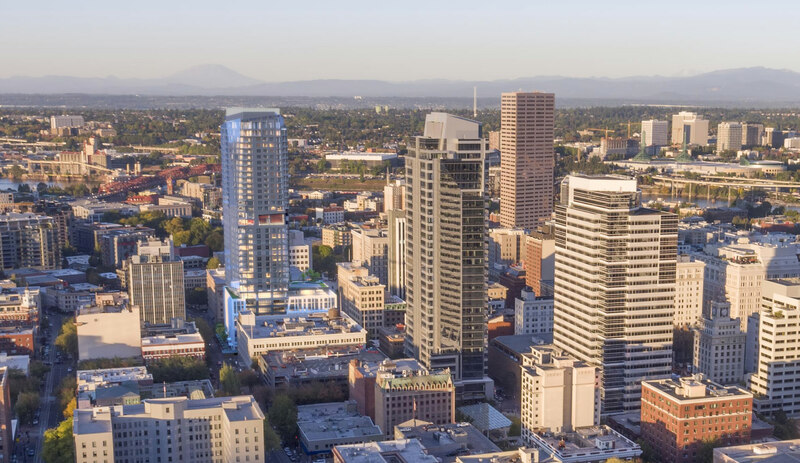 Below we’ve compiled a list of some of the more commonly used terms that are particular to development in Portland. If there are any other terms that should be added please let us know in the comments.